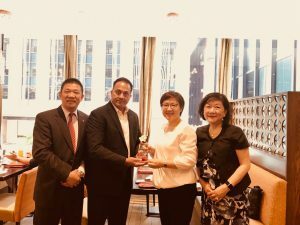 Leading travel technology company, Fareportal, was recently awarded the 10 Million Dollar Sales Award from China Airlines recognizing exceptional performance by the company’s leisure and corporate brands, CheapOair.com and Travelong. This award is given annually to the top sellers of China Airlines tickets over the past year. This is the second consecutive year that Fareportal has been recognized by China Airlines for their sales achievements over $10 Million. China Airlines operates non-stop flights to Taipei from six North American gateways including Los Angeles, Ontario (California), San Francisco, New York, Honolulu, and Vancouver. 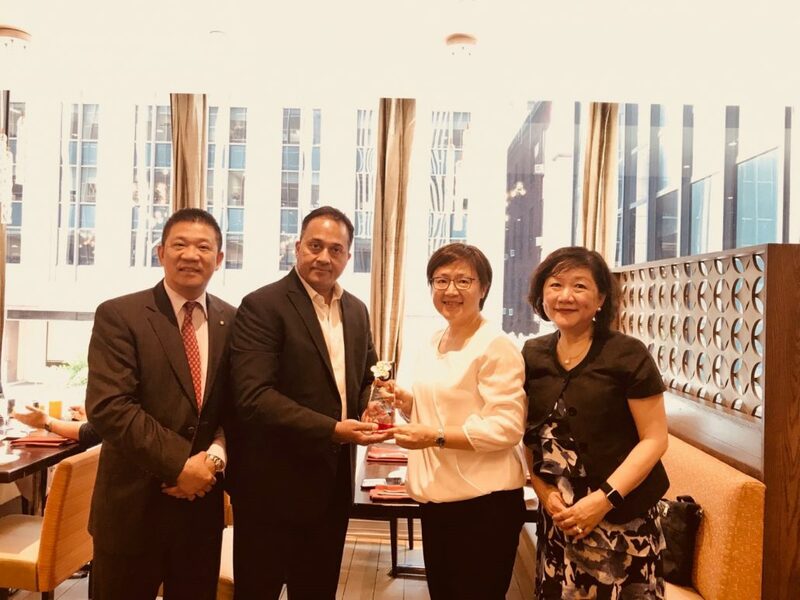 Richard Mei, Shirley Yang, and Meiyin Lin of China Airlines present Sanjay Hathiramani of Fareportal with the 2017 10 Million Dollar Sales Award. Fareportal is a travel technology company powering a next generation travel concierge service. Utilizing its innovative technology and company-owned and -operated global contact centers, Fareportal has built strong industry partnerships providing customers access to over 450 airlines, 1 million hotels, and hundreds of car rental companies around the globe. With a portfolio of consumer travel brands including CheapOair and OneTravel, Fareportal’s booking platforms enable consumers to book online, on mobile apps for iOS and Android, by phone, or live chat. Fareportal provides its airline partners with access to a broad customer base that books high-yielding international travel and add-on ancillaries.